Last Friday, I went for my first run since the half-marathon in Kerikeri. I hadn’t actually intended to stop running for a whole six days but the whole week just flew by and it kind of just happened. Today is day five of yet another hiatus (after my last run on Saturday). Can you even call it a hiatus if it’s only been five days? I guess not but too late now, not hitting that backspace key. As bad as it sounds, this is still better than the period post-Taupo-half-marathon when I stopped running for quite a while longer (don’t blame me. Blame winter. That’s what I’m doing). Entering a race every month this year has helped create a running habit and keep me motivated to continue training and I’m afraid that, if one run ends and I don’t have another in the pipeline, I might just get a little too lazy (something I seem to have a natural talent for). After crossing the finish line in Kerikeri, S. and I lied on the grass and started drawing up the plan for what should happen next. Three days that, we signed up for a short fun run in December (and this will really be fun as it will even include costumes!) and came up with a list of runs we want to do next year. We’ve got three running events planned for 2012 so far and intend to enter a few more (the whole one running event per month idea proved quite successful this year so maybe it’s best if we carry on with that formula). Return to Waiheke Island in January and run the 12km Wharf2Wharf again. It was the first running event we ever entered, last January, and we didn’t know what to expect at all. I’m super curious to go back and see what it’ll feel like this time. Speaking of those programmes, find a good one and stick to it. So there you have it. I’ve got put my running shoes where my mouth is. Okay, that sounded gross. Backspace. You get the point. 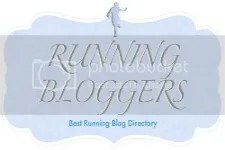 Categories: running | Tags: fitness, half-marathon training, marathon training, new year's resolutions, running, running goals | Permalink. 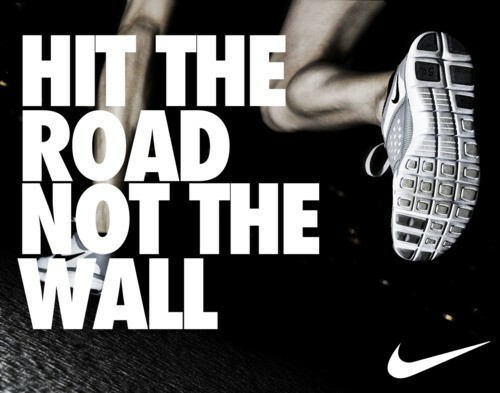 Love your running resolutions! Awesome idea to make a list. I look forward to reading more about each of them! So exciting! Nice to have those goals in place to stay motivated. Cheering you on! I’ve just decided to do my first half-marathon (which I NEVER thought I’d want to do) to keep me running through the winter here. Hey Beat! Oh man, the NY Marathon would be amazing! Spent a few minutes last night talking to a guy who did it this year and he was saying that there really is nothing like it! So, so tempting! I was looking at the Berlin one actually but could be tempted to do the NY one! Would be awesome to meet up! I’m gonna count on you to remind me once registration opens! P.s. : New Zealand misses you! Hey there! I haven’t done a marathon yet by myself. I don’t know why. Years ago someone suggested me not to do it too young. So it is about time to do it. A friend of mine and I said, we would like to go to NY. I did some researches for it and it is really hard to get a starting place. Well, either you qualify with a time that you had previously in another marathon or half marathon (but that is almost impossible). So the second option is to book over some “official” organisations/travel agency and they are able to do registrations. But yeah, I will contact you for sure if I come up with something. Hey Vera, you are truly amazing. 12 runs a year is a pretty big commitment. Big up’s again lady! PS3 By Myself With a Play – Station 3 Repair Manual. While the Wii does have some more adult titles it is the kid friendly ones it is best known for. as to why a person can spend the whole day playing. Have fun of the relaxing activity by diving into the world of free online games. discovered it and I’ll be bookmarking it and checking back regularly!